Dr. David E. Wiley, 89, of Lancaster, passed away on July 19, 2018 at the Masonic Villages in Elizabethtown. He was the loving husband of the late Janet S. Wiley who preceded him in death in 2013. Born in Lancaster, PA, he was the son of the late Edgel W. and LeVohn (Pace) Wiley. David was a proud graduate of McCaskey High School where he played football, wrestled, swam, and ran the high hurdles. After McCaskey, he went on to play football for the University of North Carolina at Chapel Hill. He was a member of the Phi Delta Theta fraternity and was proud of having played in the Cotton Bowl and the Sugar Bowl for his beloved Tarheels. David served in the Army during the Korean War. David went to medical school at Philadelphia College of Osteopathic Medicine. After graduation, he returned to Lancaster and went on to have a distinguished career as an obstetrician/gynecologist. 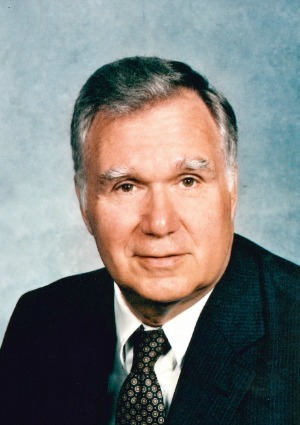 He delivered more than 6,000 babies over the course of his career and served as the president of the Lancaster City and County Medical Society. In his spare time, David enjoyed fishing, hunting, traveling, music, and photography but, most of all, he loved spending time with his family. He was an active member of Highland Presbyterian Church where he served as an elder and as one of the choir’s biggest fans. He was a proud member of the American Medical Association, American Osteopathic Association, Pennsylvania Osteopathic Medical Association, Edward Hand Medical Heritage Foundation, the Hamilton Club, Lancaster Pirates, McCaskey Men, GRUMPS, ROMEOS, and the Tucquan Club. He is survived by three daughters, Susan Lee, Ann Louise, and Sandra Kay. Relatives and friends are respectfully invited to attend a Memorial Service at Highland Presbyterian Church, 500 E. Roseville Road, Lancaster, PA 17601 on Saturday, August 4, 2018 at 11:00 AM. The family will receive friends from 10:00 AM until the time of the service. Interment will be private at the convenience of the family. In lieu of flowers, contributions may be made in his memory to: Alzheimer’s Association, 225 N. Michigan Avenue, Floor 17, Chicago, Illinois 60601 OR at https://act.alz.org. My deepest condolences to Susan and the family. Our thoughts and prayers are with your family now and in the days to come. I give my sincere condolences to all of you. Reading your dad’s story made me think of him as a well known and respected person. He lived a long and rewarding life. When you feel down try to think of all the good and happy times. (I know it is easier said than done). I will keep you in my prayers. Ann, sending much love to you and your sisters. Praying for all of you. My thoughts are with you. Our thoughts and prayers are with you during this difficult time. May God’s peace bring you comfort. Heidi, Mollie, Tim, Hope, Karlie and Mollie the dog. Please know that you and your family are in my thoughts and prayers at this very difficult time. May God Bless your sweet father as He greets him. I am deeply sorry for your family’s loss of David. May you find co fort in the many precious memories you shared as well as God’s promise to restore our dear loved ones to perfect life on a paradise earth. As you contemplate that promise, draw close to God in prayer and he will draw close to you and provide the needed strength to carry you through the difficult days ahead. All the best wishes for your smile at this time, take care. Prayerful sincerest sympathy in the loss of your father. He was an exceptional physician and good friend. Dr.Wiley was a great physician. My brother Dr. Ralph Springer did his residency under Dr. Wiley. We share in the loss of your father. I was saddened to hear of the passing of Dr. Wiley. He brought my son safely into the world on July 29, 1988. May God bring peace and comfort to the family. My sincere sympathy on your loss. Not only did Dr Wiley deliver our first son, I also had the privilege of working with him for years at Lancaster Osteopathic/Community Hospital of Lancaster. As an RN in Labor and Delivery and postpartum, I had the opportunity to appreciate his excellent skills as a physician. I loved his calm bedside manner, the way he treated all with respect, his cool head in an emergency situation, and his dry humor. Don’t tell the other docs, but he was one of my favorites! 🙂 So many fond memories! He made a significant impact on a lot of lives, including mine. Were sorry for your loss,we were thinking of him and were going to call him since we haven’t heard anything in a long while. Let us know how things are our phone number is 904 215 5273 if we don’t pick up leave a message.